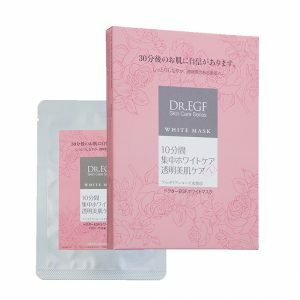 BioNike -DEFENCE TOLERANCE Soothing Mask 紓緩面膜 – rosy rain! Refreshes skin and soothes skin redness. Soothing, complementary treatment that provides instant relief, reduces skin redness and helps to reduce capillary fragility. With moisturising and soothing ingredients, this mask helps to preserve skin’s wellbeing. 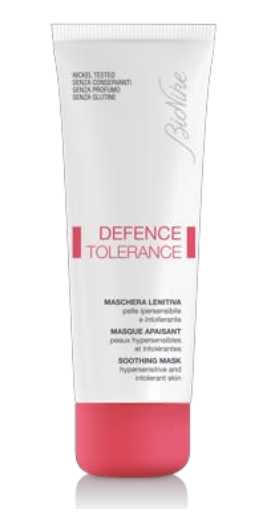 Use to reduce skin redness and discomfort in subjects with hypersensitive and intolerant skin. excess by gently pressing a paper tissue onto skin. Marine polysaccharides: special ingredients deriving from Atlantic seaweeds that protect the integrity of skin’s blood vessels. Almond Oil and shea butter: emollient and nourishing vegetable lipids. Panthenol (pro-vitamin B5): performs a triple benecial action on skin: moisturises, soothes and repairs. Sorbitol and Trimethylglycine: help to restore a well balanced epidermal hydration. crosspolymer, ammonium acryloyldimethyltaurate/VP copolymer, ascophyllum nodosum extract, asparagopsis armata extract, dimethiconol, acacia senegal gum, xanthan gum, caprylhydroxamic acid, rosa centifolia ower water, sodium hydroxide, trisodium ethylenediamine disuccinate.